There is a park area for familiar and student relaxation, stables and homing area for various creatures, and a practice area for dueling in both magic and melee. Campus Map coming soon! Each floor is dedicated to 100 (or more) Rooms and Guide Rooms based on amount of students. The Room has six bedrooms leading into a common kitchen and sitting room. There’s also a common work area but it’s a separate room. Guide Rooms contain a bedroom, kitchen, sitting room, and work room. Guide’s make sure everyone on the floor is getting along. The bedroom: Queen sized bed, two nightstands with lamps, large wardrobe for clothes, attached full bathroom, (possible) window, hanging bookshelves, and a small desk. Students MAY NOT paint or change flooring. They can hang posters, add furniture, and otherwise decorate but everything must be put back as it was. The sitting room: two large couches, one big comfy chairs and lots of floor space. Includes two empty shelves, one coffee table, and a common television with speaker system. Can be decorated but must be returned to original state. 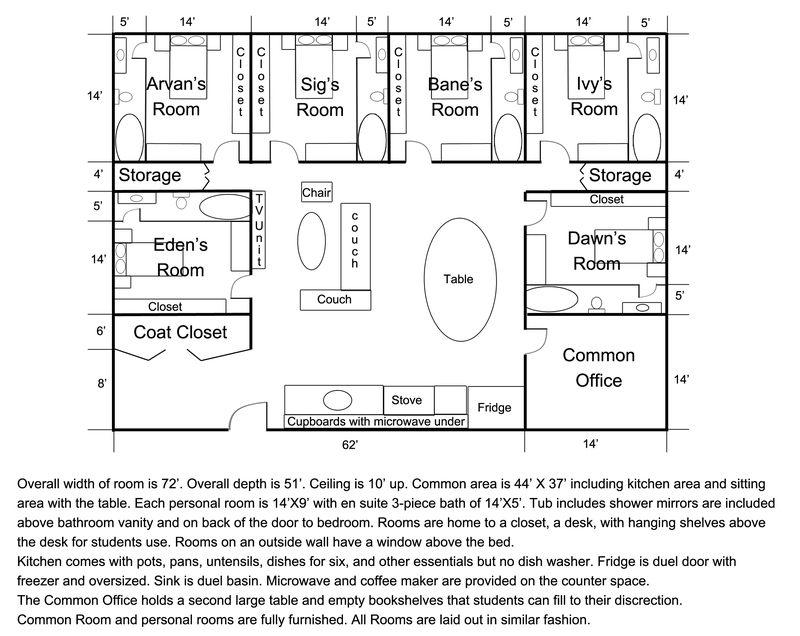 Storage Closets: Two in each Room with a coat closet when a student enters the Room. The Dorm is dome-like in shape giving it the nick-name of the Dome. First years are generally on the first floor (where reception desk is located) while second and more years can sign up for a floor based on their groups’ collective grade. The top 10 floors of the Dorm have the best of everything and only those with 95% in classes or higher can try to get into these floors. Those on the top floor have the best grades in the school. To keep a floor position the Mages MUST keep their grades to that level, especially in the top 10 floors. The top floor is a single room (no Guide Room). The second top floor is two rooms (with a Guide Room), third is three, etc. All floors hold a different number of rooms so most people request the top for the lack of foot traffic. All Rooms maintain six bedrooms, single kitchen and sitting area as well as a separate work area. The other floors of the Dorm don’t have any significant differences and people don’t care where they’re placed. By second year all Mages should be able to find their way from any floor of the Dorm to the main lobby. In the lower levels are the Healing Floor, Cleaning Floor (so students can tidy up), Food Floor, Book Floor (library), Sports Floor (Gym), and General Floor (hanging out). The Living Floor is where security and other Mages or non-Mages who work at the school live. There are various elevators but only the main elevators in the main lobby are for students. 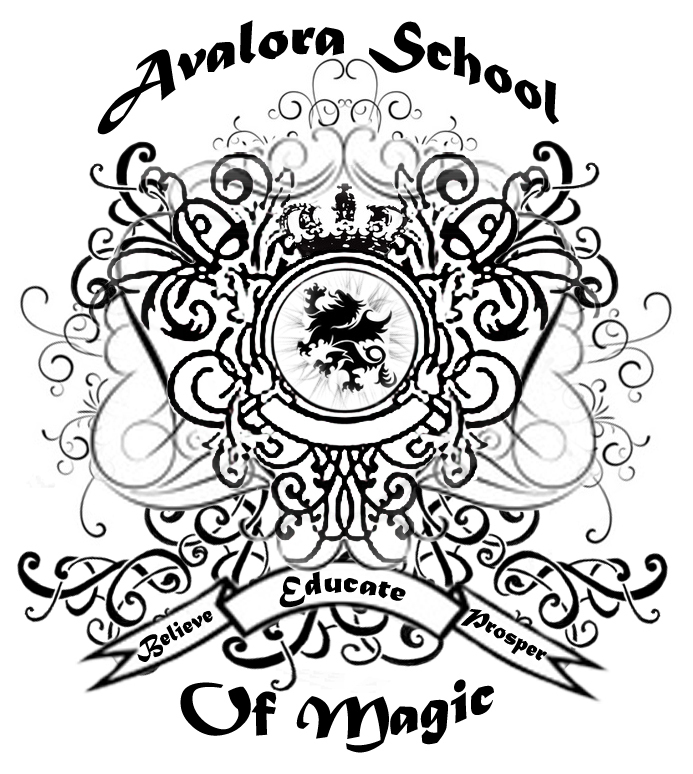 Students will learn to magic their way up or down. There are no stairs. Run by White Mages and healers who have graduated the school at some point. Filled with medical supplies and multiple wards where a person is brought to recuperate from whatever injury they’ve sustained. Floor opens to a front desk waiting area where a person must sign in and wait. To the right are the wards where overnight (or longer) visitors stay. The left is six rooms where a visitor is checked out then either discharged or put into a ward. Wards hold four beds. Staff have rooms in behind the desk area where they sleep, eat, and relax. There are normally 24 Healers who live in this floor at a time. They work in shifts and rotate once every few months if needed. The Main Healer is the only one who has a permanent shift and she’s the one who makes the Schedules. A wide open area full of cleaning supplies. There is a desk across from the door and all walls are covered with shelves of supplies. Two hallways behind the desk, one leading to more supplies and the other leading to the rooms where staff sleep. There are normally 100 or more staff who sleep on this floor, no one knows the true number. They are non-mages whose only job is to keep the School and Dorms clean. They live and work at the School and in the Dorms. Wide open area full of tables and chairs. To one side of the door is the area where food is prepared by staff. Food is free to students in the Dorms. Runs 9AM-5PM every day but is closed on Sundays. Students are expected to tidy up after themselves and can use this area to study if they so choose. Circular room full of books. Main desk is located right beside the door and generally there are two Mages to help you find books. There are many large desks as well as smaller cubby desks for students to work at. Basically a gym. There are spaces for use of free weights, there are machines, and there are private rooms for people to practice complicated martial arts on their own. Magic can be practiced in a room so long as the room is returned to proper working order for the next person’s use. Rooms must be signed out. Rooms can also be used for magic or melee duels as well as melee classes. Basically a large common room with televisions, chairs, and a little barista to one side. Barista only makes coffees, teas, and snacks. Alcoholic drinks are not served until after 10PM at the end of a school week and service stops on school nights. These drinks must be purchased and it is the only place on campus to obtain booze. The general floor has been used for graduation, balls, and other special events. Sells supplies for school, basically kind of like a mall. Bane describes it best: "It’s the single largest mall in the world with 6.2 million square feet of floor space and 4.2 million square feet of rentable space for shops. That’s over 50 football fields if you’re wondering. There are 12 Familiar Shops, and at least five different restaurants for different ethnic foods like Chinese, Japanese, Caribbean, Italian, French, you get the idea. Oh and there are four main plazas that work as grocery stores." Separated into various single person living areas much like a Guide’s Room. The floor opens to a front desk and separates into various hallways. Most hallways hold rooms but one leads to the Weapons chamber where the schools practice weapons and other melee supplies are kept. Security personal live here along with other Staff that may have elected to live on this floor rather than on the Cleaning Floor. Staff are allowed to decorate as they wish and many live here until they pass. Below is the layout for Room 17 where our six main characters live for their first year at Avalora.